The greatest Qing dynasty emperor and arguably one of China's finest emperors. 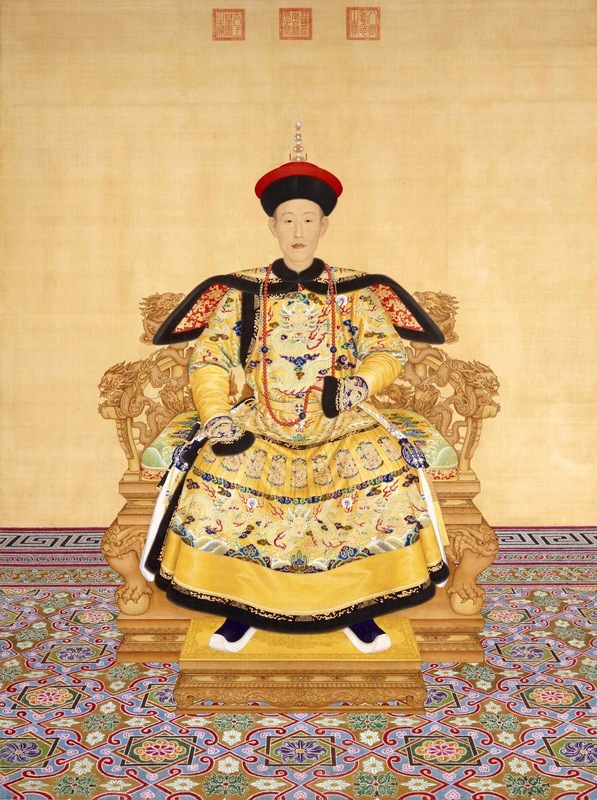 The Qianlong Emperor (25 September 1711 – 7 February 1799) was the sixth emperor of the Manchu-led Qing dynasty, and the fourth Qing emperor to rule over China proper. 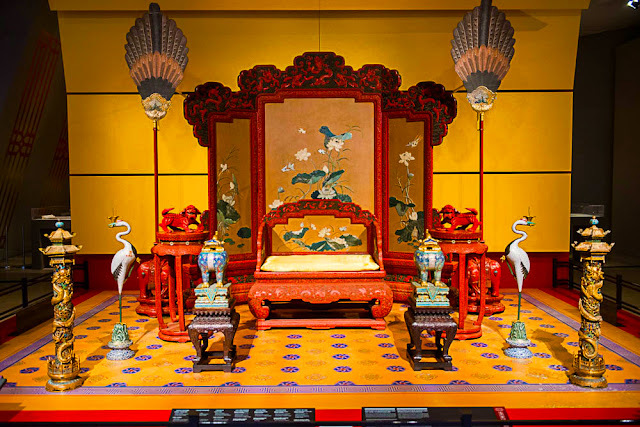 As a capable and cultured ruler who inherited a thriving empire, during his long reign the Qing Empire reached the zenith of power and prosperity, boasting a large multi-ethnic population and a vibrant economy. As a military leader, he vigorously led several military campaigns expanding the dynastic territory to the largest extent by conquering and sometimes destroying Central Asian kingdoms. 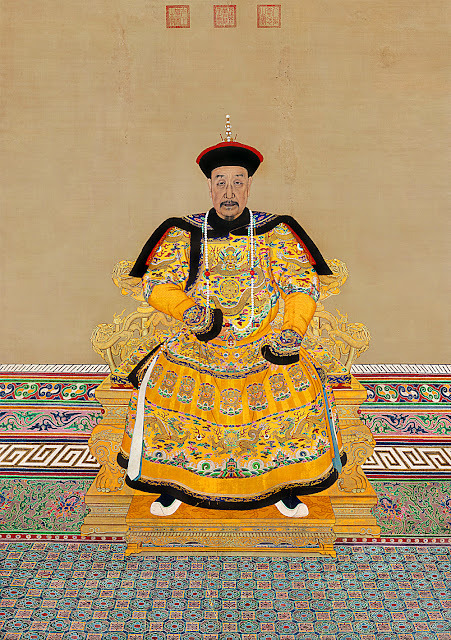 However his ascension to power turned around in his late years, with enduring power came the corruption that was so detrimental to the Chinese dynasties: the Qing empire began to decline with unrestricted corruption in his later days and the Qing began to stagnate following his death. Sensual, witty, and confident, the young Qianlong Emperor had the reputation as a smart aleck and a gifted student. 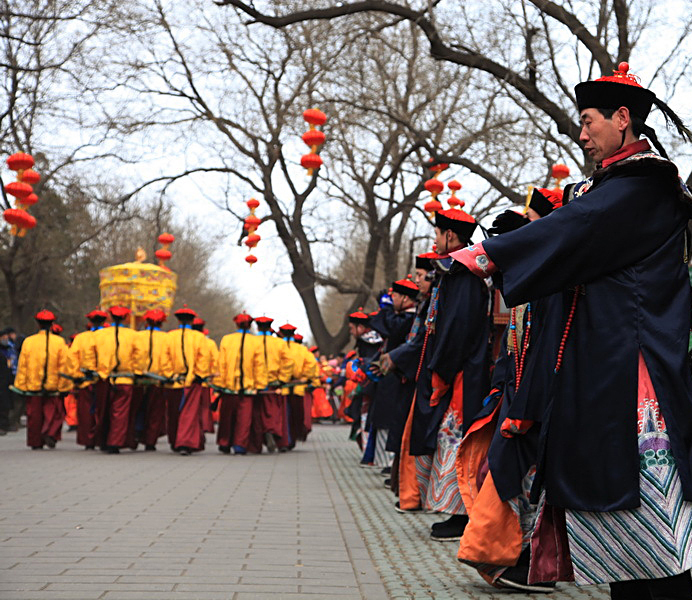 Hongli- the future Qianlong Emperor was adored both by his grandfather, the Kangxi Emperor and his father, the Yongzheng Emperor. 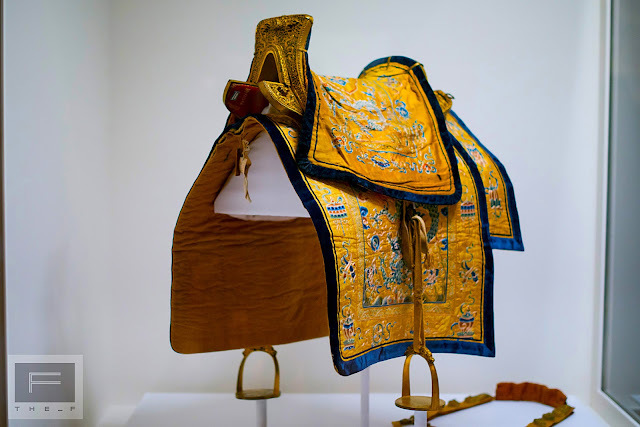 There is a prevalent view among historians that the main reason the Kangxi Emperor appointed the Yongzheng Emperor as his successor was because Hongli was his favourite grandson. 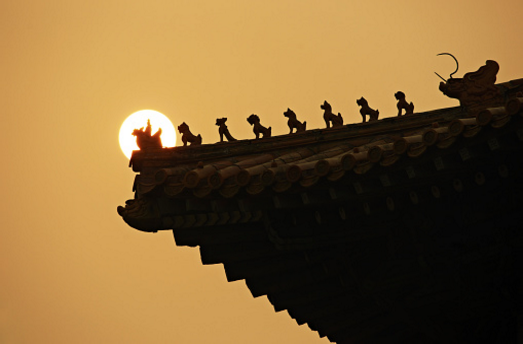 He felt that Hongli's mannerisms were very similar to his own. 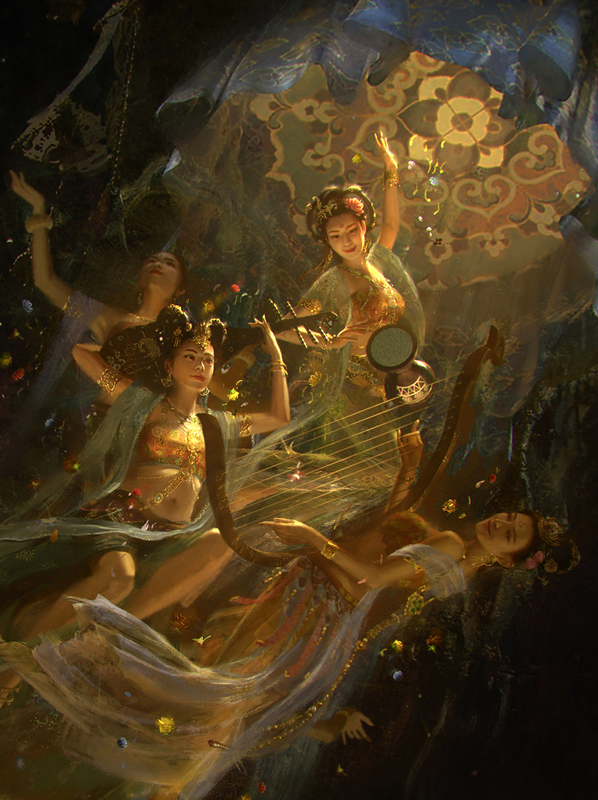 As a teenager, Hongli was capable in martial arts and possessed literary ability. 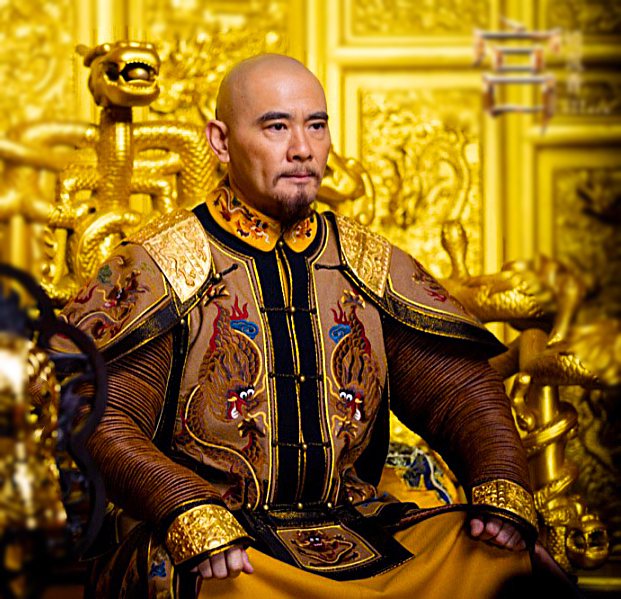 After Hongli ascended the throne he adopted the era name "Qianlong", which means "Lasting Eminence". 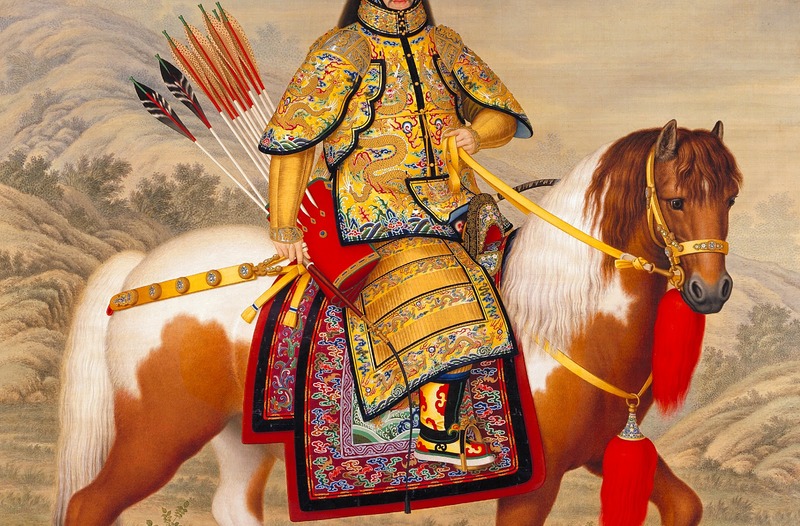 Equestrian portrait of Qianlong Emperor by the imperial court painter/ Jesuit missionary Giuseppe Castiglione. The Qing Emperors especially prized the painting abilities of the western missionaries and relied on them to develop a new style that incorporated both traditional Chinese styles as well as the more opaque western styles. 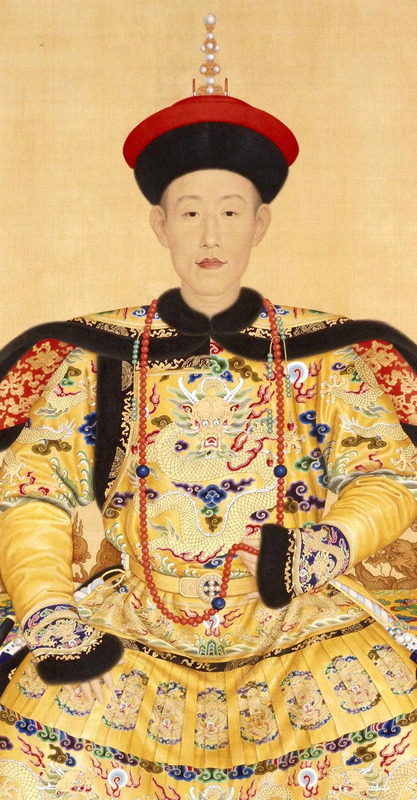 Because having shadows on the face usually symbolized villainy or forebode of bad luck, Qianlong generally instructed Castiglione to draw his face with a neutral flat lighting that left no shadows. Qianlong Emperor's brigandine armor, or dingjia (Chinese: 釘甲; Pinyin: Dīng jiǎ). 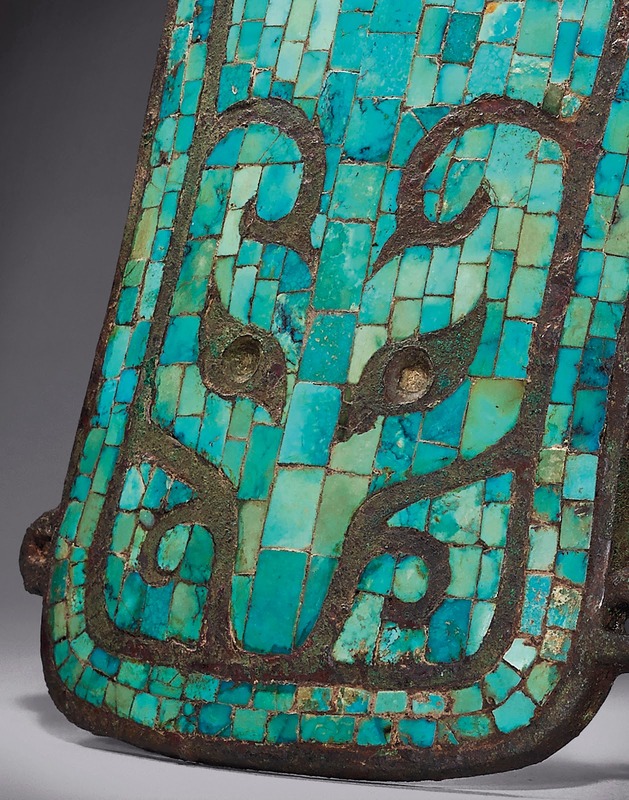 It consisted of rectangular plates of metal, riveted between the fabric layers with the securing rivet heads visible on the outside. 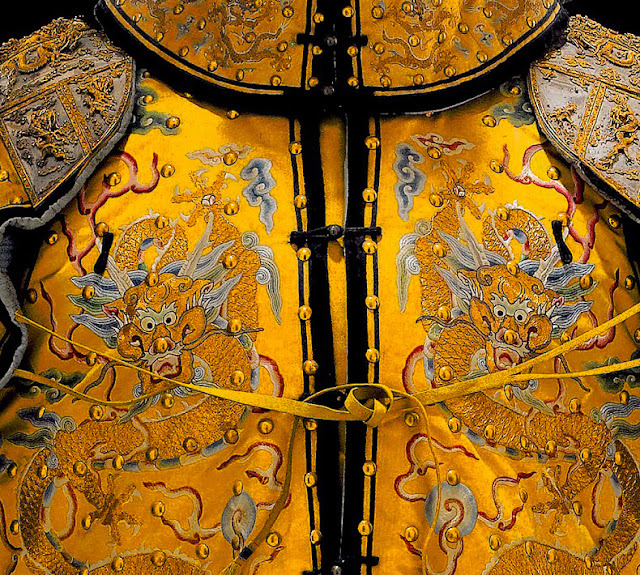 The outer layer consisted of comfortable silk and cotton paddings and elaborate thread work. 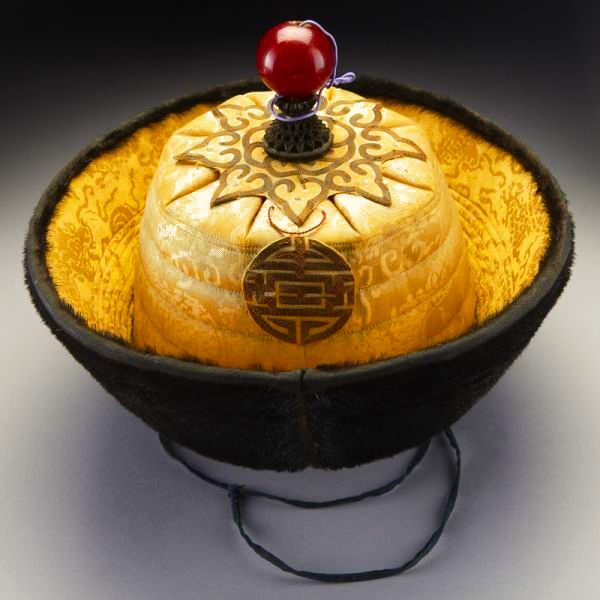 Dinjia were frequently favoured by officers for its rich, expensive look and comfortable protection. 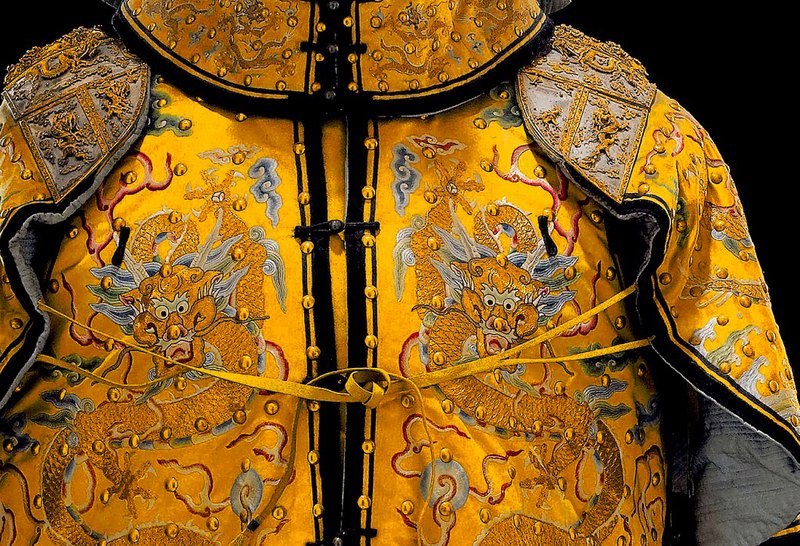 However by the 19th century such armors had became obsolete. Officials such as military governors and magistrates still wore them for show but they often took out the iron plates within and merely used it as a military uniform. 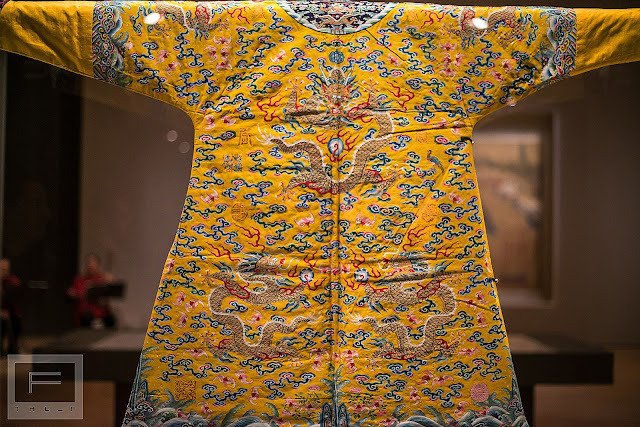 For 150 years, the Emperors Kangxi, Yongzheng, and Qianlong expanded Qing dynasty's realm in Inner Asia throughout the 17th and the 18th century AD, including both Inner and Outer Mongolia, Manchuria, Tibet, Qinghai and Xinjiang. 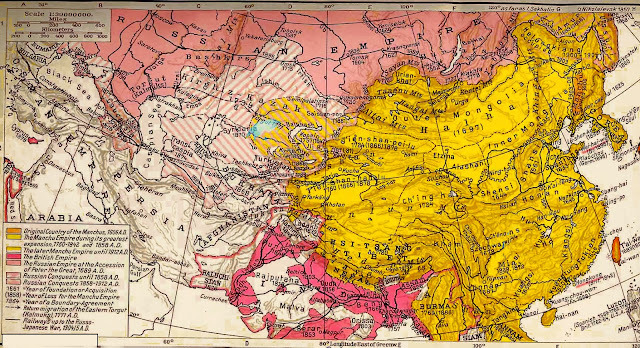 Map that showed the administrative divisions of the Qing empire, note the differences between the yellow and beige-cream territories. 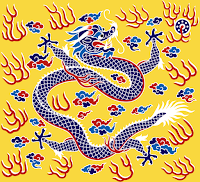 Yellow represented former Ming provinces that were administered like regular provinces while the cream territories represented the frontiers of the empire. Here, various Khans, begs (lords,) and Lamas ruled at the outlying regions of China beyond the Great Walls. 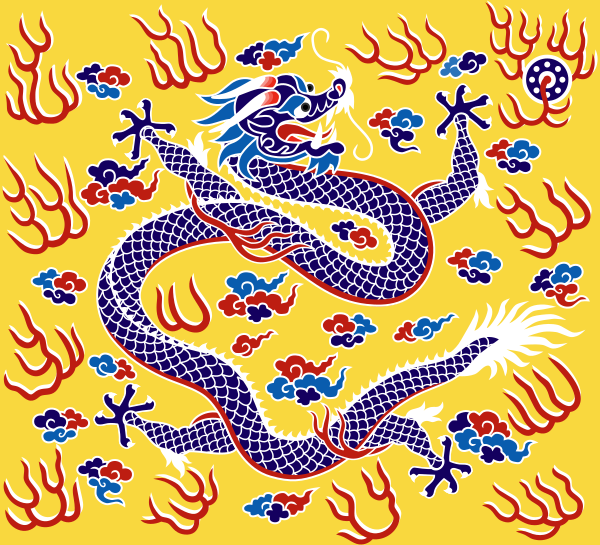 Orange represented tributary states that provided tributes and received protection from the Qing as client state vassals. Wars were fought primarily against the Mongol state of Northern Yuan dynasty (before 1636) and the Dzungar Khanate (1687–1758). 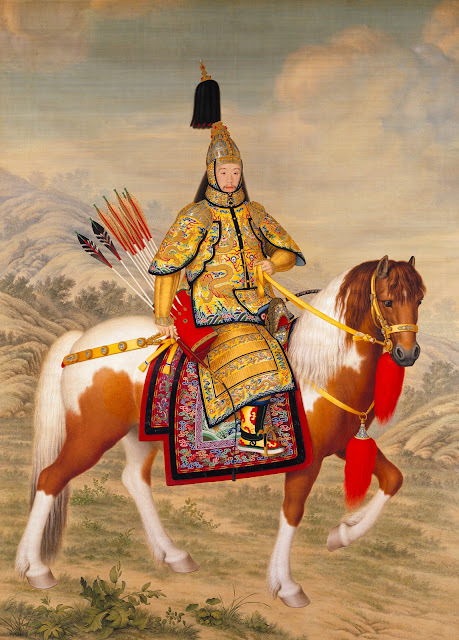 Even before the Qing conquest of China proper and the subjugation of Ming lands, the Manchus had controlled Manchuria and Inner Mongolia, with the latter being previously controlled by the Mongols under Ligdan Khan. After suppressing Han turncoats in the Revolt of the Three Feudatories and the conquest of Taiwa, the destructive Dzungar–Qing War broken out. 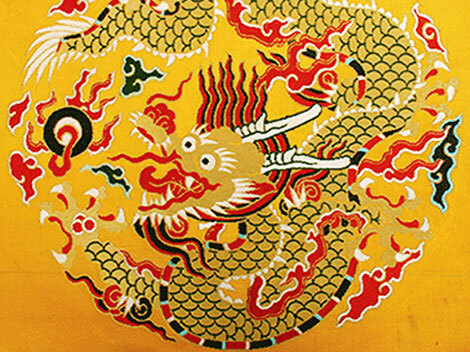 The full century war would eventually led to Qing conquests of Outer Mongolia, Tibet, Qinghai and Xinjiang, doubling the size of the Qing realm. In two massive waves, Central Asian was largely broken by two bursts of conquests, first the Qing in the mid portion of the 18th century, then Russian expansion into the region throughout the 19th century. 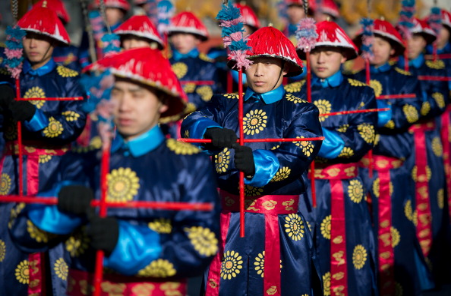 Even today Central Asia's identity is a combination of Islamic, Mongolian- Russian, and to a lesser extent, Chinese influences. The Qianlong Emperor was a successful military leader. Immediately after ascending the throne, he sent armies to suppress the Miao rebellion. 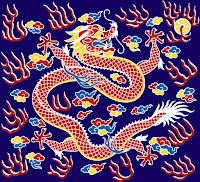 His later campaigns greatly expanded the territory controlled by the Qing Empire. This was made possible not only by Qing military might, but also by the disunity and declining strength of the Inner Asian peoples. 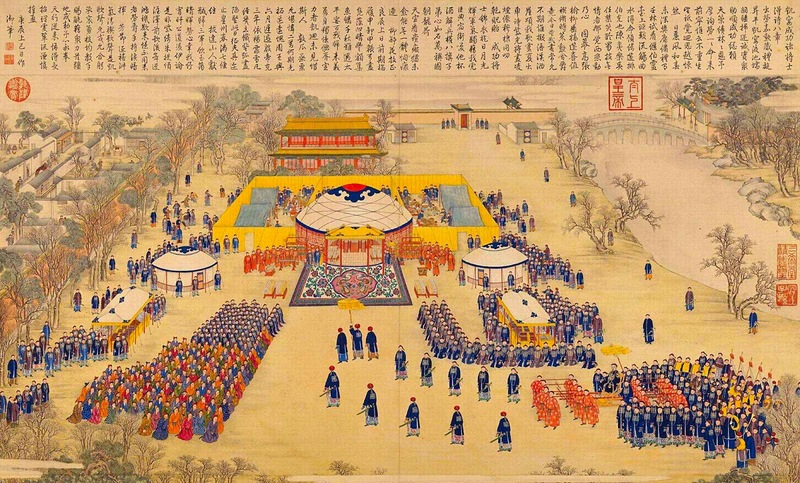 The Ten Great Campaigns (Chinese: 十全武功) were a series of military campaigns launched by the Qing Empire of China in the mid–late 18th century during the reign of the Qianlong Emperor (r. 1735–96). 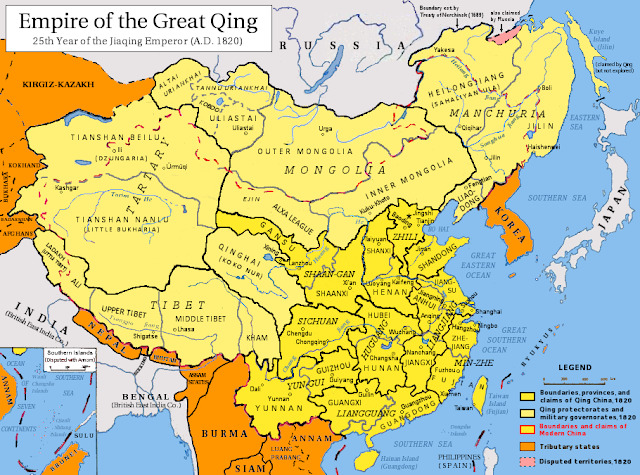 They included three to enlarge the area of Qing control in Inner Asia: two against the Dzungars (1755–57) and the pacification of Xinjiang (1758–59). 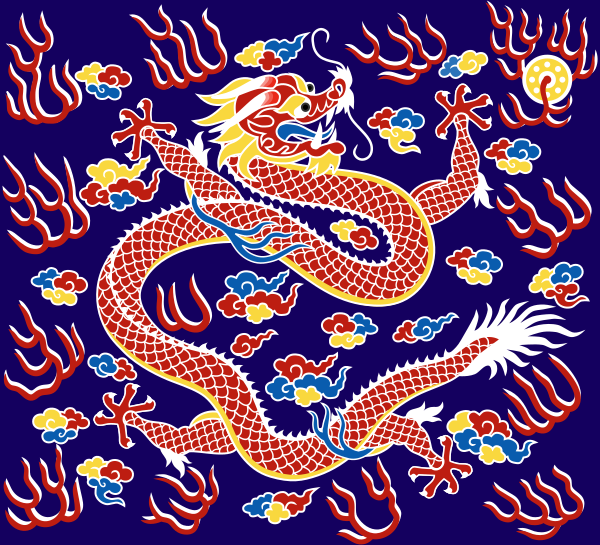 The other seven campaigns were more in the nature of police actions on frontiers already established: two wars to suppress Jinchuan Tibetans in Sichuan, another to suppress rebels in Taiwan (1787–88), and four expeditions abroad against the Burmese (1765–69), the Vietnamese (1788–89), and the Gurkhas in Nepal on the border between Tibet and India (1790–92), with the last counting as two. 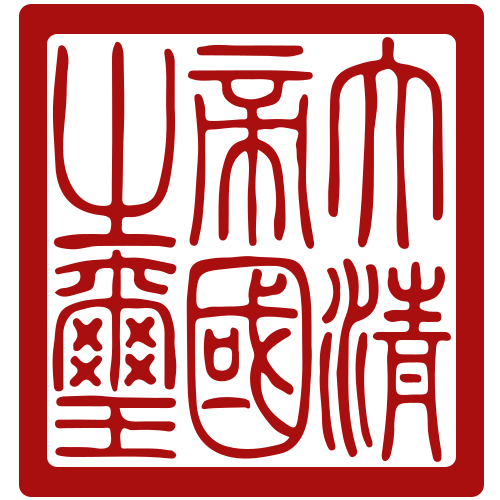 In his later years, the Qianlong Emperor referred to himself with the grandiose style name of "Old Man of the Ten Completed [Great Campaigns]" (十全老人). He also wrote an essay enumerating the victories in 1792 entitled Record of Ten Completions (十全记). 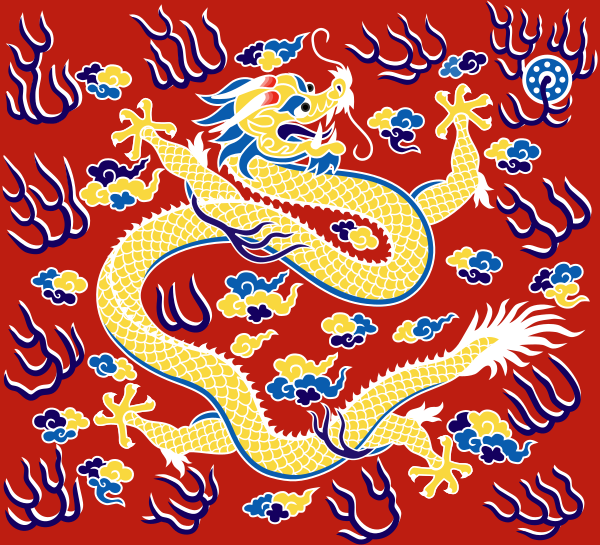 Do you consider the Manchus to be 'of China'? Personally I don't think they ever truly held the Mandate of Heaven, nor did the Mongol Yuan. 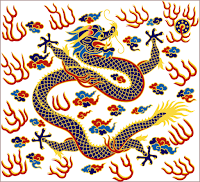 To me, the Manchus are equivalent to the Normans are to the English (Anglo-Saxons) or the Etruscans are to the Romans. An essentially foreign people. 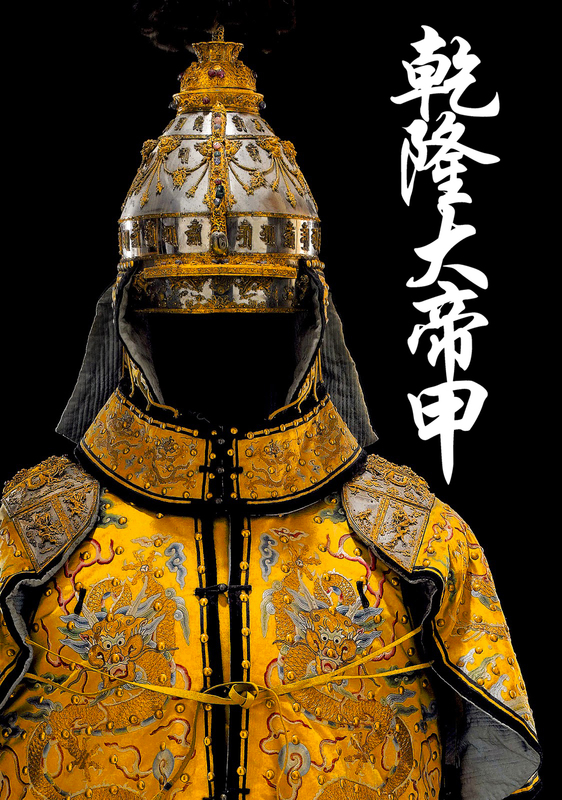 The Manchus before the Ming were foreigners but not totally, they were descended from the Jin dynasty remnants and those guys once ruled China as a Sinosized dynasty. They even changed their names and customs to adopt to the Chinese ways. And like their forebearers, the Manchus also took effort to change themselves to become Sinosized, Kangxi took a good deal of effort in normalizing Han conventions in court and he had the Kangxi encyclopedia compiled in order to preserve knowledge through Han language. 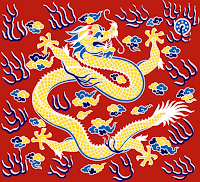 I will say they did try to maintain their ways as well, the Manchus forbid the footbinding of their women and Qianlong himself advocated a rather segregationist "seperate but equal" approach for the Han and Manchu Bannermen. 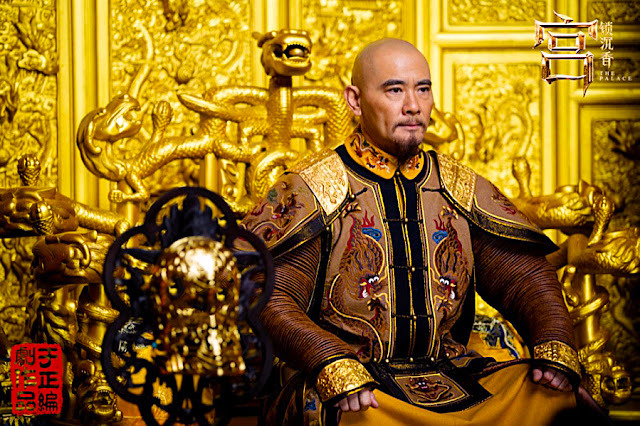 I will say this, the Manchus were seen as Chinese not because of their brutal conquest but because at the end of the day they were able rulers and presided over a multiethnic empire and made it work in their image. 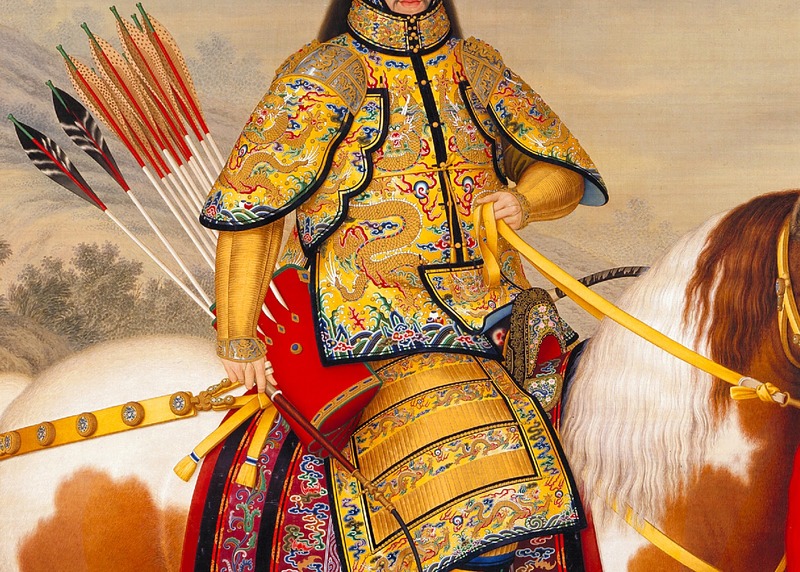 The Ming suffered early 150 years of backstabbing eunuchs and corrupt ministers, of famines and underfunded military, only to have within two generations to become the dominate power in Asia again and have low taxes, high cultural marks and enlightened Emperors. If anything, that made them worthy of the title and be counted in the dynastic cycles. The so called Mandate is quite practical, as long as the Emperors provide and is able to maintain a stable and profitable leadership he might as well have the Mandate. 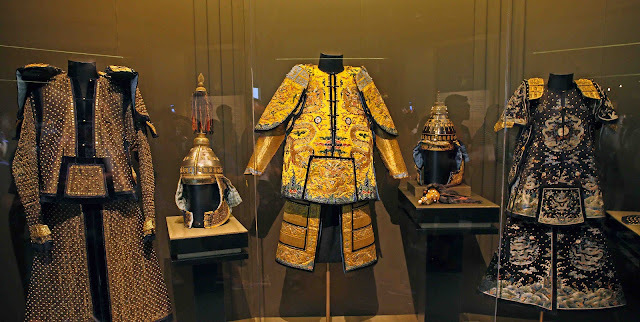 After all, long before the Yuan and the Qing, Northern Wei and many other Northern Dynasties in China were of the "Barbarian" Xianbei blood and they ruled well enough that Northern Wei Emperors were considered some of the ideal ones. 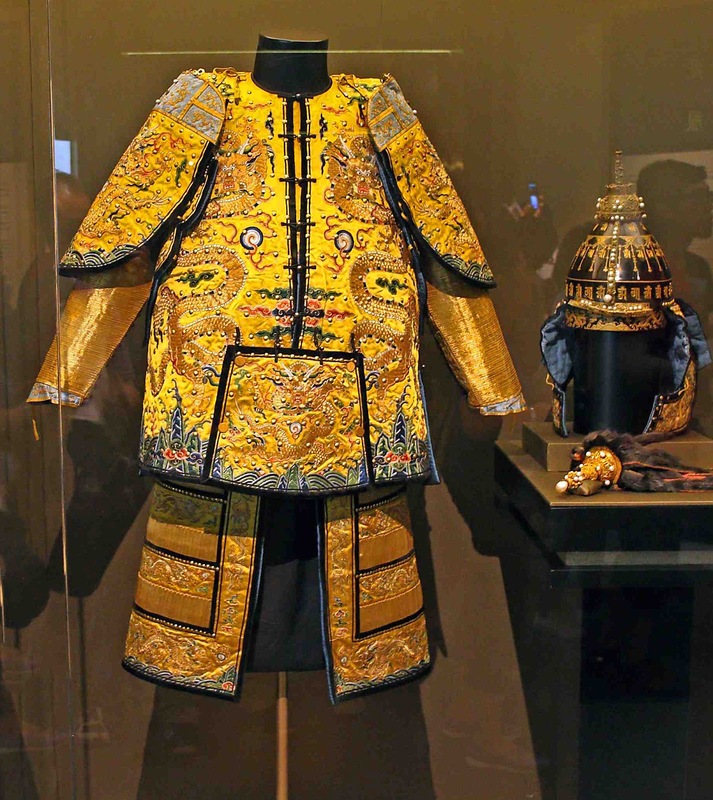 That being said, the Manchu's ambitions were far above just the territories of the Ming lands, or simply the Mandate of Heaven within those territories, they made themselves the supreme ruler of quite a number of regions. 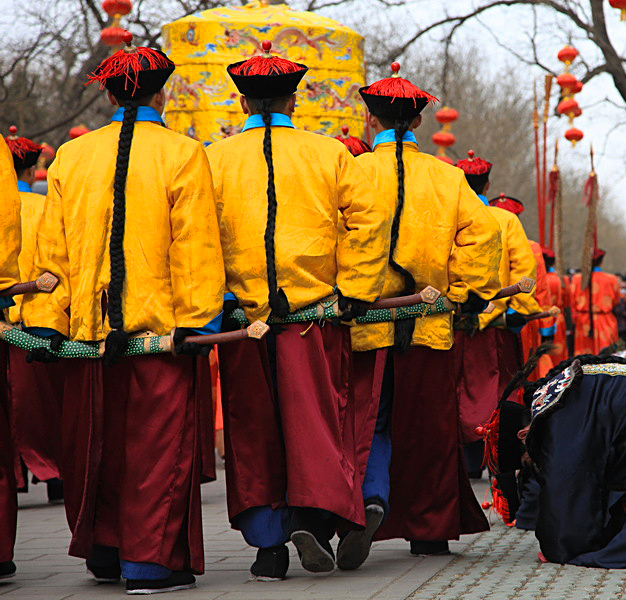 During the Qing dynasty they were master of Han mandarins, Mongol Princes, Uyghur Begs, Dalai and Panchan Lamas all bowed to the Manchu Emperors.